If you fail to feel resistance from the band as you swing through impact, you're either hanging back or sliding toward the target. The goal is to launch your left hip straight up. As today's Tour players prove, the more you explode your left side upward through impact, the more speed you create. You can groove this move with resistance training. Attach one end of an exercise band to the belt loop on your lead hip. Run the band down your leg and under your left foot, then secure the other end under your right. Your goal is to stretch the band vertically as you swing through impact. 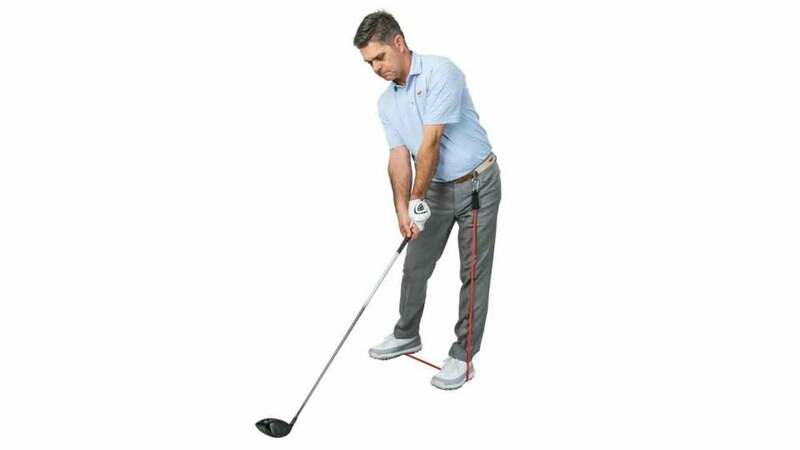 Resistance from the band as you "launch" your left side skyward reminds you to do it faster and with more force on each successive swing. You'll be a bomber in no time.